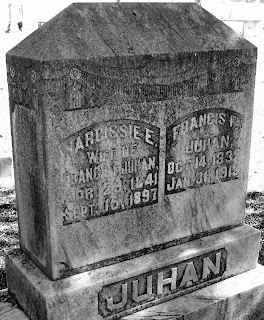 Francis Ferdinand Juhan was born 14 October 1832 in Jones County, Georgia to Francis P. Juhan and Evilyn Johnson. By 1850, the family was settled in Gwinnett County, Georgia. The city of Lawrenceville is where Francis Ferdinand Juhan would spend his adult life, even being mayor of the city for a time. Francis F. Juhan served in the Civil War with Company B of Cobb's Legion (Georgia). He enlisted in 1862, and was present at the April 1865 surrender in Greensboro, North Carolina. Oliver, a brother of Francis, also fought during the Civil War. Family tradition states when Oliver lost his life in that war, the unimaginable task of burying the body fell to Francis. After the war, Francis returned to Lawrenceville and resumed a law practice. He married Narcissus E. Ivie, and together they had nine children. Six lived to adulthood. Narcissie died in 1897. 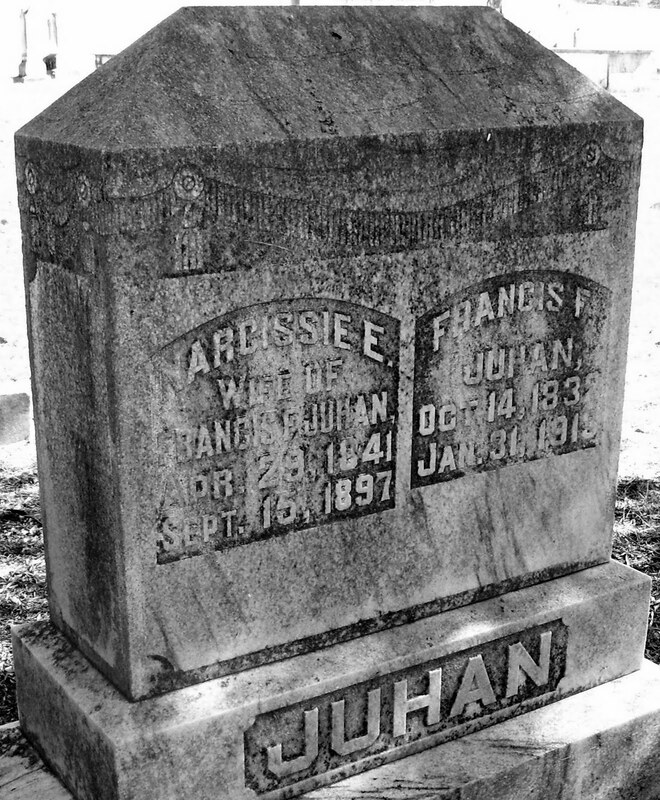 Upon his death on 31 January 1913, Francis F. Juhan was laid to rest next to his wife and three early-lost children in Lawrenceville's Historic Cemetery. Well-known Lawyer and Jurist Passes After Long and Active Life. Lawrenceville, Ga., January 31 -- (Special) -- Judge F. F. Juhan died at his home in Lawrenceville this morning at 8:30 o'clock, after an illness of one year, although he had been confined to his bed only four days. His death was caused from heart disease. All his children were at his bedside during his last hours. The funeral will take place Saturday afternoon, and the body will be buried by the side of his wife, who died fifteen years ago. 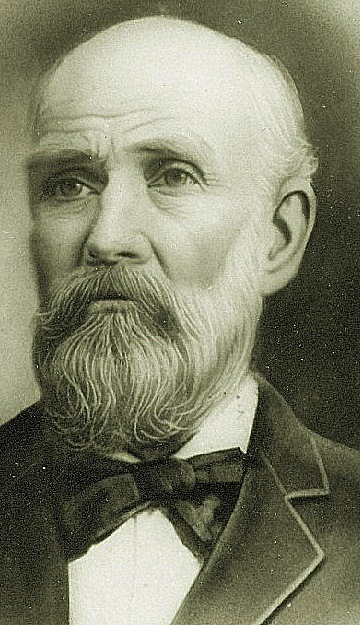 Francis Ferdinand Juhan was born in Jones county, Georgia, October 14, 1832. His father later removed to Stone Mountain and there the deceased was admitted to the bar and came to Lawrenceville in 1856. He was among the first to answer the call to arms in the war between the states and was corporal in Cobb's Legion, seeing active service until the surrender. After the war he returned to Lawrenceville and took up his law practice, and for over 40 years was a leading lawyer in the western circuit. He was appointed judge of the city court of Lawrenceville by Governor Allen D. Candler, and later served as judge of the city court of Buford. For a number of years he was mayor of Lawrenceville. He was a man of marked personality, firm in his convictions, loyal to his friends and passionately fond of children. 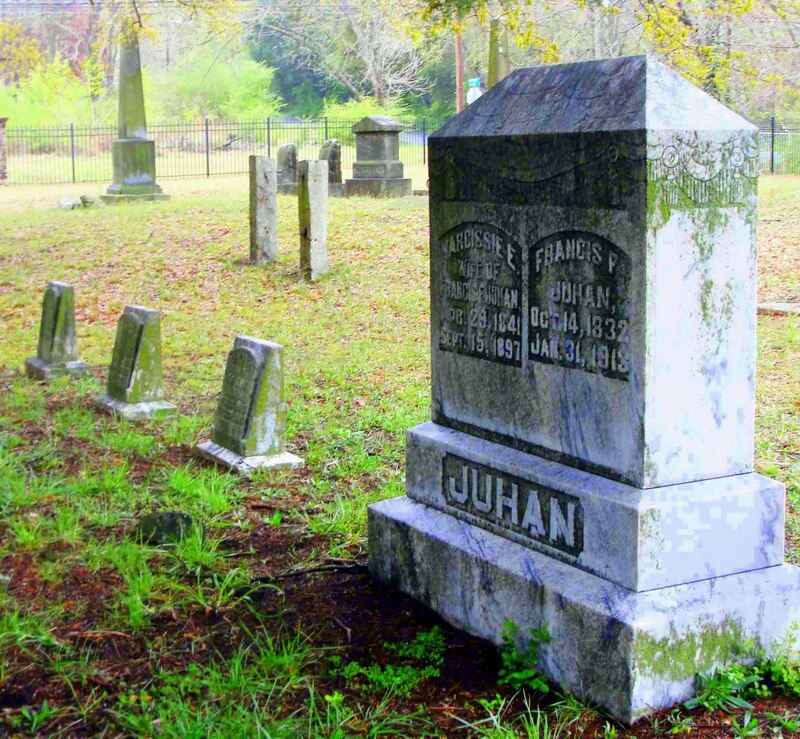 His only living brother, L. A. Juhan, resides near Stone Mountain, and his sisters are Mrs. Dora Daniel, of Menard county, Texas; Mrs. S. E. Jenkins, of Macon county, Texas, and Mrs. Rosa Langley, of Albany, Ga. His surviving children are Miss Bettie Juhan, I. B. Juhan, O. R. Juhan, Mrs. J. L. Hagood, Mrs. E. L. Mckelvey, all of Lawrenceville, and Ben A. Juhan, of Winder, Ga."
Lawrenceville, Ga., February 1 -- (Special) -- The funeral of Judge F. F. Juhan, who died Friday morning, occurred this afternoon from the residence,... The interment was in the old cemetery here, by the side of his wife. All the business houses of the town were closed during the funeral service. Members of the local bar acted as pallbearers. Judge Juhan was in his 81 year, and was one of the oldest lawyers, in point of practice, in the western circuit." Image credits: the first three are cropped enhancements of original photos published to FindAGrave. The first two credited to Katherine Emerson, and the third to Quietly Resting. I did the cropping and enhancing. The fourth image is of a February 1913 Atlanta Constitution newspaper item viewed online at Ancestry.com. The final image was taken by me (Stephanie Lincecum). This was my ex-husband's adopted great-grandfather. We had a photograph of him in a box, but beyond his name, we had no idea who he was. Thanks for the great research. Cool! Always neat to hear. Thanks for commenting.